Microservices are groupings of lightweight services, interconnected, although independent of each other, without direct coupling or dependency. Microservices allow flexibility in terms of infrastructure; application traffic is routed to collections of services that may be distributed across CPU, disk, machine and network as opposed to a single monolithic platform designed to manage all traffic. In its simplest form, a Microservice consists of an event-listener and a message-dispatcher. The event-listener polls a service-bus – generally a durable message-queue – and handles incoming messages. Messages consist of instructions bound in metadata and encoded in a data-interchange format such as JSON, or Protobuf. A connection is established on application start-up, and is ideally maintained for the duration of the application’s lifetime. A single running instance (generally an *.exe, or daemon) can connect to RabbitMQ and consume messages in a single-threaded, blocking manner. However, this is not the most scalable solution. Processes that read messages from RabbitMQ must subscribe to a Queue, or Exchange. Once subscribed, RabbitMQ manages message delivery, in terms of even-distribution through round-robin, or biased distribution, depending on your Quality of Service (QOS) configuration. Please refer to this post for a more detailed explanation as to how this works. Notice the static declaration of the RabbitMQAdapter class. RabbitMQ connections in this library are thread-safe; a single connection will facilitate all requests to RabbitMQ. Notice the _connection.CreateModel() method call. This establishes a Channel to interface with RabbitMQ. The Channel is encapsulated within a using block; once we’ve completed our operation, the Channel may be disposed. Channels are relatively cheap to create, in terms of resources, and may be created and dropped liberally. This method also contains overloaded exchangeName and routingKey parameters. These are used to control the flow of messages through RabbitMQ resources. This concept is well documented here. The Daishi.AMQP library provides a means of easily interfacing with AMQP-driven queuing mechanisms, with built-in support for RabbitMQ, allowing .NET developers to easily integrate solutions with RabbitMQ. Click here for Part 1 in a tutorial series outlining the means to leverage Daishi.AMQP in your .NET application. This entry was posted in AMQP, C#, Message Queueing, Microservice Architecture, RabbitMQ and tagged .net, amqp, C#, csharp, distributed design, microservice architecture, rabbitmq on May 22, 2015 by Paul Mooney. Caching strategies have become an integral component in today’s software applications. Distributed computing has resulted in caching strategies that have grown quite complex. Coupled with Cloud computing, caching has become something of a dark art. Let’s walk through the rationale behind a cache, the mechanisms that drive it, and how to achieve a highly available, durable cache, without persisting to disk. Data stores are growing larger and more distributed. Caches provide fast read capability and enhanced performance vs. reading from disk. Data distributed across multiple hardware stacks, across multiple geographic locations can be centralised at locations geographically close to application users. Sudden bursts in traffic can cause contention in terms of data-persistence. Storing data in memory removes the overhead involved in disk I/O operations, easing the burden on network resources and application threads. NoSQL has gained traction to the extent that it is now pervasive. Many NoSQL offerings, such as Couchbase, implement an eventual-consistency model; essentially, data will eventually persist to disk at some point after a write operation is invoked. This is an effective big data management strategy, however, it results in potential pitfalls on the consuming application-side. Consider an operation originating from an application that expects data to be written immediately. The application may not have the luxury of waiting until the data eventually persists. Caching the data ensures almost immediate availability. High availability is a principal applied to hosted solutions, ensuring that the system will be online, if even partly, regardless of failure. Failure takes into account not just hardware or software failure, such as disk failure, or out-of-memory exceptions, but also controlled failure, such as machine maintenance. Data Centers, such as those managed by Amazon Web Services and Microsoft Azure, distribute infrastructure across regions – physical locations separated geographically. Infrastructure contained within each region is further segmented into Availability Zones, or Availability Sets. These are physical groupings of hosted services within hardware stacks – e.g., server racks. Hardware is routinely patched, maintained, and upgraded within Data Centers. 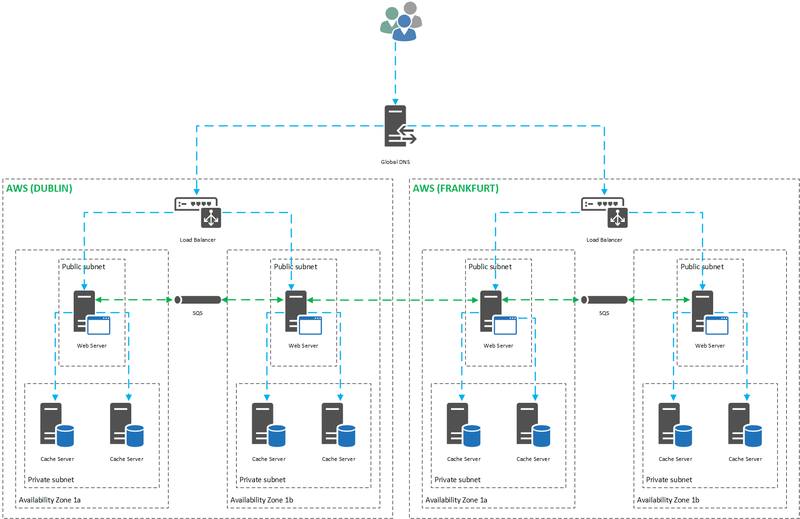 This is applied in a controlled manner, such that resources contained within Availability Zone/Set X will not be taken offline at the same time as resources contained within Availability Zone/Set Z. Notice that the design provides 8 Cache servers, distributed evenly across both region and availability zone. Thus, should any given Availability Zone fail, 3 Availability Zones will remain online. In the unlikely event that a Data Center fails, and all Availability Zones fail, the second region will remain online – our application can be said to be highly available. Note that the design includes AWS Simple Queue Service (SQS) to achieve Cross Data Center Data Replication (XDR). The actual implementation, which I will address in an upcoming post, is slightly more complex, and is simplified here for clarity. Enterprise solutions, such as Aerospike and Couchbase offer XDR as a function. Traffic is load balanced evenly (or in a more suitable manner) across Availability Zones. A Global DNS service, such as AWS Route 53, directs traffic to each region. In situations where all regions and Availability Zones are available, we might consider distributing traffic based on geographic location. Users based in Ireland can be routed to AWS-Dublin, while German users might be routed to AWS-Frankfurt, for example. Route 53 can be configured to distribute all traffic to live regions, should any given region fail entirely. Applications that handle financial data, such as Merchants, must comply with the requirements outlined by the PCI Data Security Standard. These requirements apply based on your application configuration. For example, storing payment card details on disk requires a higher level of adherence to PCI DSS than offloading the storage effort to a 3rd party. The PCI DSS define data as 2 logical entities; data-in-transit and data-at-rest. Data-at-rest is essentially data that has been persisted to a data-store. Data-in-transit applies to data stored in RAM, although the requirements do not specify that this data must be transient – that it must have a point of origin and a destination. Therefore, storing data in RAM would, at least from a legal-perspective, result in a reduced level of PCI DSS exposure, in that requirements pertaining to storing data on disk, such as encryption, do not apply. Of course, this raises the question; should sensitive data always be persisted to hard-storage? Or, is storing data in a highly available and durable cache sufficient? I suspect at this point that you might feel compelled to post a strongly-worded comment outlining that this idea is ludicrous – but is it really? Can an in-memory cache, once distributed and durable enough to withstand multiple degrees of failure, operate with the same degree of reliability as a hard data-store? I’d certainly like to prove the concept. Caching data allows for increased throughput and optimised application performance. Enhancing this concept further, by distributing your cache across physical machine-boundaries, and further still across multiple geographical locations, results in a highly available, durable in-memory storage mechanism. Hosting cache servers within close proximity to your customers allows for reduced latency and an enhanced user-experience, as well as providing for several degrees of failure; from component, to software, to Availability Zone/Set, to entire region failure. 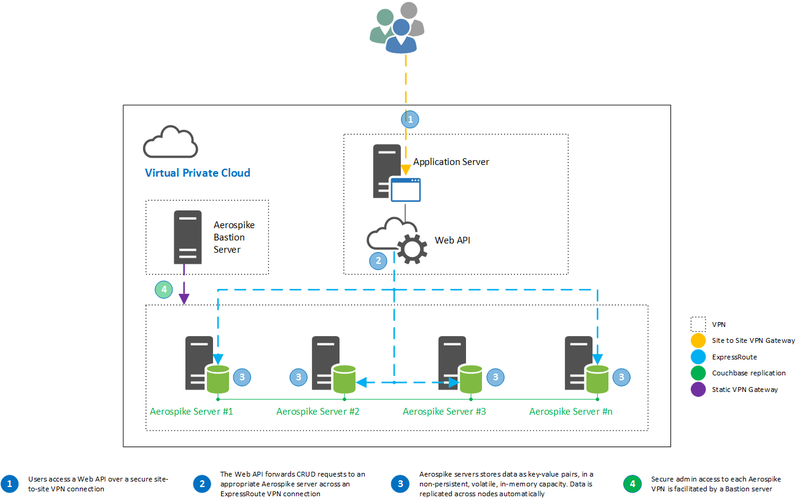 This entry was posted in Caching, Microservice Architecture, Performance Tuning and tagged aerospike, amazon web services, auditing, caching, cloud hosting, credit cards, distributed cache, durable, financial data, high availability, in-memory-cache, in-memory-database, low latency, microservice architecture, microsoft azure, optimisation, optimization, payment-cards, PCI DSS, performance on May 8, 2015 by Paul Mooney. 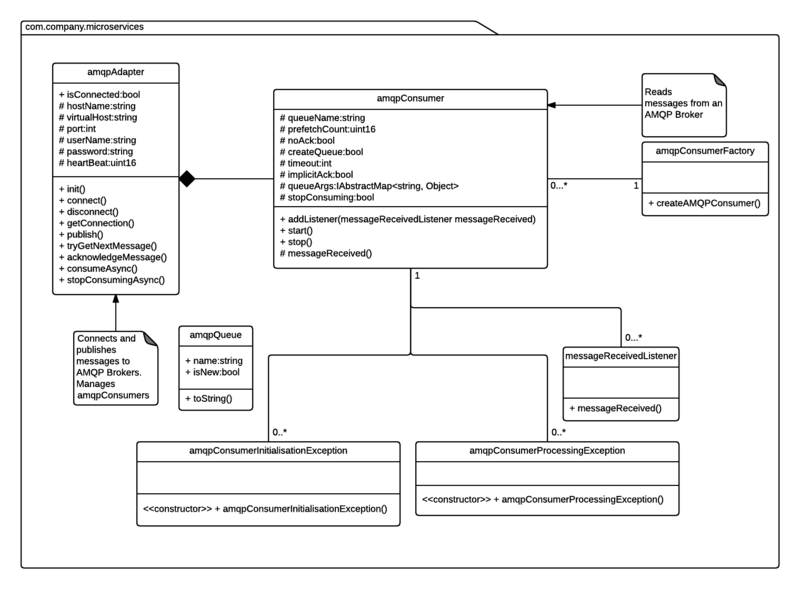 The previous tutorial focused on serialising complex JSON objects. This tutorial describes the process of deserialisation using JSON#. The purpose of JSON# is to allow memory-efficient JSON processing. At the root of this is the ability to dissect large JSON files and extract smaller structures from within, as discussed in Tutorial #1. One thing, among many, that JSON.NET achieves, is allow memory-efficient JSON-parsing using the JsonTextReader component. The last thing that I want to do is reinvent the wheel; to that end, JSON# also provides a simple means of deserialisation, which wraps JsonTextReader. Using JsonTextReader alone, requires quite a lot of custom code, so I’ve provided a wrapper to make things simpler and allow reusability. This class contains a single method designed to map properties. As you can see from the code snippet above, we read each key as a representation of corresponding node’s path, and then bind the associated value to a POCO property. There is nothing wrong with deserialising in the above manner. But let’s look at what happens. First, it will use Reflection to look up CLR metadata pertaining to your object, in order to construct an instance. Again, this is ok, but bear in mind the performance overhead involved, and consider the consequences in a web application under heavy load. Second, it requires that you decorate your object with serialisation attributes, which lack flexibility in my opinion. Thirdly, if your object is quite large, specifically over 85K in size, you may run into memory issues if your object is bound to the Large Object Heap. Deserialisation using JSON#, on the other hand, reads the JSON in stream-format, byte-by-byte, guaranteeing a small memory footprint, nor does it require Reflection. Instead, your custom implementation of Deserialiser allows a greater degree of flexibility when populating your POCO, than simply decorating properties with attributes. I’ll cover deserialising more complex objects in the next tutorial, specifically, objects that contain complex properties such as arrays. This entry was posted in JSON#, Microservice Architecture, Performance Tuning and tagged .net, ASP.NET, C#, csharp, design patterns, JSON, JSON.net, jsontextreader, microservice architecture on January 9, 2015 by Paul Mooney. 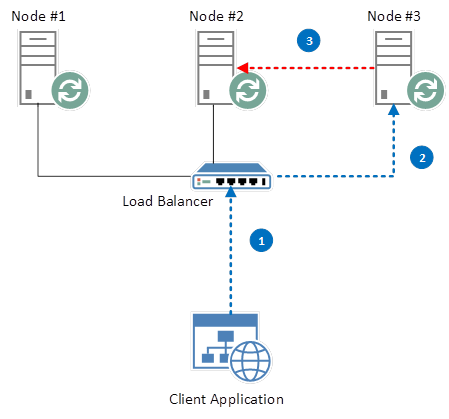 Given a cluster of RabbitMQ nodes, we want to achieve effective load-balancing. First, let’s look at the feature at the core of RabbitMQ – the Queue itself. 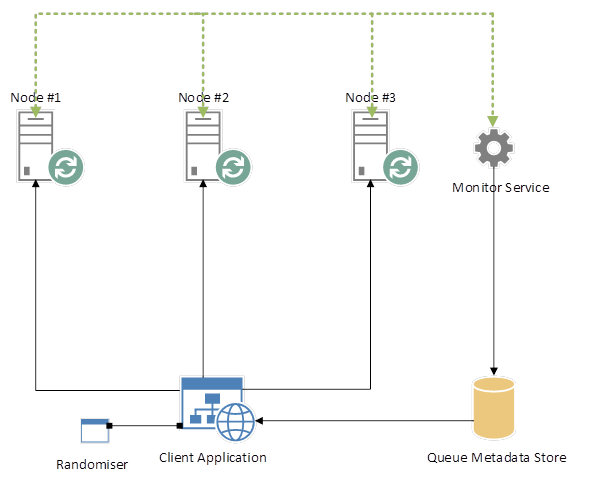 Nodes 1 – 3 are replicated across each other, so that snapshots of all HA-compliant Queues are synchronised across each node. Suppose that we log onto the RabbitMQ Admin Console and create a new HA-configured Queue. Our Load Balancer is configured in a Round Robin manner, and in this instance, we are directed to Node #2, for argument’s sake. Our new Queue is created on Node #2. Note: it is possible to explicitly choose the node that you would like your Queue to reside on, but let’s ignore that for the purpose of this example. Now our new Queue, “NewQueue”, exists on Node #2. Our HA policy kicks in, and the Queue is replicated across all nodes. We start adding messages to the Queue, and those messages are also replicated across each node. Essentially, a snapshot of the Queue is taken, and this snapshot is replicated across each node after a non-determinable period of time has elapsed (it actually occurs as an asynchronous background task, when the Queue’s state changes). We may look at this from an intuitive perspective and conclude that each node now contains an instance of our new Queue. Thus, when we connect to RabbitMQ, targeting “NewQueue”, and are directed to an appropriate node by our Load Balancer, we might assume that we are connected to the instance of “NewQueue” residing on that node. This is not the case. I mentioned that a RabbitMQ Queue is a singular structure. It exists only on the node that it was created, regardless of HA policy. A Queue is always its own master, and consists of 0…N slaves. Based on the above example, “NewQueue” on Node #2 is the Master-Queue, because this is the node on which the Queue was created. It contains 2 Slave-Queues – it’s counterparts on nodes #1 and #3. Let’s assume that Node #2 dies, for whatever reason; let’s say that the entire server is down. Here’s what will happen to “NewQueue”. This is standard HA behaviour in RabbitMQ. Let’s look at the default scenario now, where all 3 nodes are alive and well, and the “NewQueue” instance on Node #2 is still master. Unfortunately for us, this means that we suffer an extra, unnecessary network hop in order to reach our intended Queue. This may not seem a major issue, but consider that in the above example, with 3 nodes and an evenly-balanced Load Balancer, we are going to incur that extra network hop on approximately 66% of requests. Only one in every three requests (assuming that in any grouping of three unique requests we are directed to a different node) will result in our request being directed to the correct node. Both solutions immediately introduce problems. In the first instance, our client application must be aware of all nodes in our RabbitMQ cluster, and must also know where each master Queue resides. If a Node goes down, how will our application know? Not to mention that this design breaks the Single Responsibility principle, and increases the level of coupling in the application. 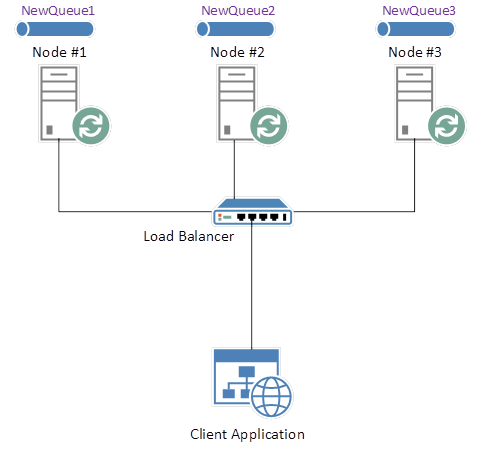 The second solution offers a design in which our Queues are not linked to single nodes. Based on our “NewQueue” example, we would not simply instantiate a new Queue on a single node. Instead, in a 3-node scenario, we might instantiate 3 Queues; “NewQueue1”, “NewQueue2” and “NewQueue3”, where each Queue is instantiated on a separate node. 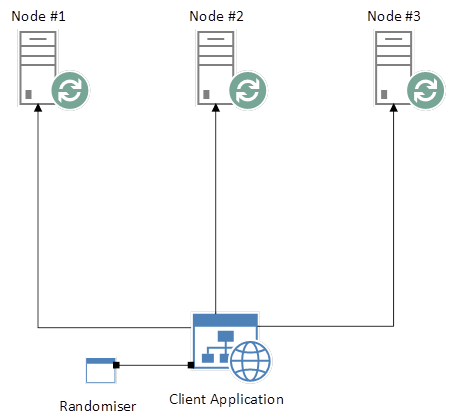 Our client application can now implement, for example, a simple randomising function that selects one of the above Queues and explicitly connects to it. In a web-based application, given 3 separate HTTP requests, each request would target one of the above Queues, and no Queue would feature more than once across all 3 requests. 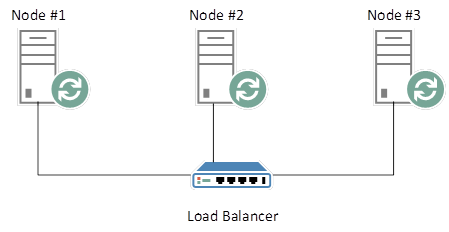 Now we’ve achieved a reasonable balance of load across our cluster, without the use of a traditional Load Balancer. But we’re still faced with the same problem; our client application needs to know where our Queues reside. So let’s look at advancing the solution further, so that we can avoid this shortcoming. Firstly, we need to provide mapping metadata that describes our RabbitMQ infrastructure. Specifically, where Queues reside. This should be a resilient data-source such as a database or cache, as opposed to something like a flat file, because multiple sources (2, at least) may access this data concurrently. Our client application, on initial load, should poll this service and retrieve RabbitMQ metadata, which should then be retained for incoming requests. Should a request fail due to the fact that a Node becomes compromised, the client application can poll the Queue Metadata Store, return up-to-date RabbitMQ metadata, and re-route the message to a working Node. This approach is a design that I’ve had some success with. From a conceptual point-of-view, it forms a small section of an overall Microservice Architecture, which I’ll talk about in a future post. This entry was posted in AMQP, Message Queueing, Microservice Architecture, RabbitMQ and tagged amqp, clustering, distributed design, load balancing, microservice architecture, rabbitmq on November 17, 2014 by Paul Mooney.